Inktober is an international challenge to artists to pick up a pen and practice ink drawing daily and share it online. 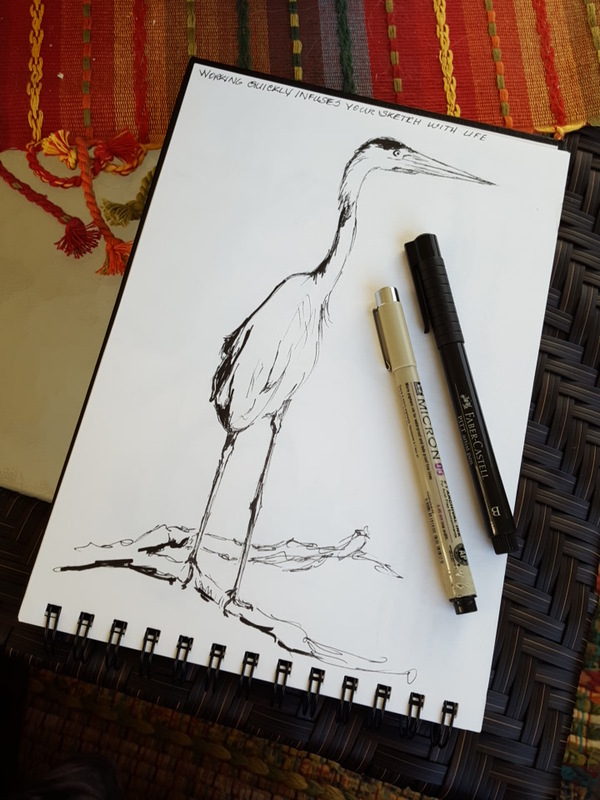 I use the time as a yearly exercise to improve my observational skills with 10 second sketches, but this year I am also doing a few finished pages in my new nature journal. 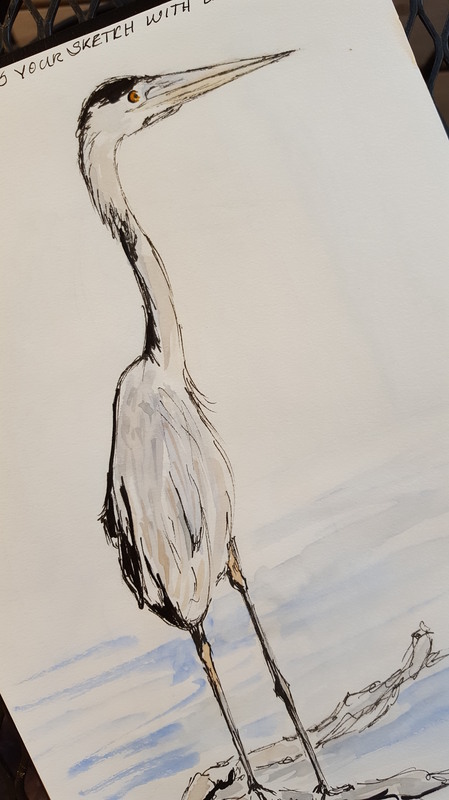 Above is my ink of a blue heron. Below I added light watercolors. Later I added notes and observations in the whitespace.